Garda Declan McDonagh, Listowel Garda Station has taken on the challenge of running 15 marathons in 2015 to raise funds for Ronald McDonald house at Crumlin Children’s Hospital.McDonagh is an experienced marathon runner with 16 completed races under his belt. 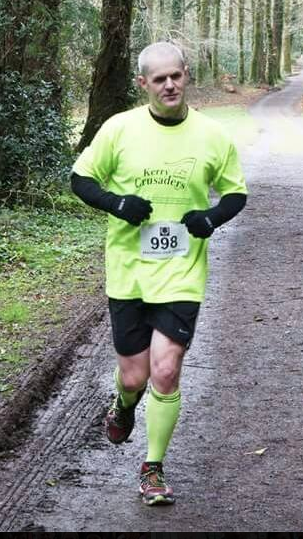 He is taking on the marathons with two other people, Tena Griffin and Eamonn Egan, from his running group in Listowel, the Kerry Crusaders. They have already completed their first marathon on January 24th at the Lilliput Adventure Centre, Mullingar, despite icy conditions. As well as competing in marathons around the country, Mc Donagh will also partake in the New York and Paris marathons. There is also a link on the Facebook page to the mycharity page, where people can make donations. All money raised goes to the charity. Sponsorship cards are also available from Declan McDonagh at Listowel Garda Station.